Hazard: The recalled bottles are not child-resistant and children can remove the top, posing a risk of chemical burns and irritation to the skin and eyes. These products contain sodium hydroxide which is required by the Poison Prevention Packaging Act to be sealed with child-resistant packaging. 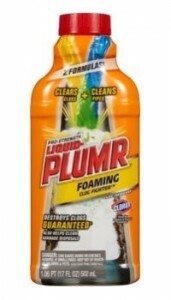 Remedy: Consumers should keep this recalled product away from children and immediately contact The Clorox Company’s Liquid Plumr call center for disposal and refund instructions. 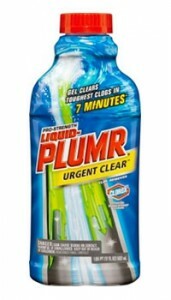 Consumer Contact: The Clorox Company’s Liquid Plumr call center toll-free at 855-490-0705 from 9 a.m. to 5 p.m. ET Monday through Friday, or online at www.liquidplumr.com and click on “Important Safety Recall Notice” for more information. Incidents/Injuries: The Clorox Company has received 8 reports of the child-resistant bottle caps not working as intended and 221 reports of the bottles leaking. No injuries have been reported. Sold at: Dollar General, Family Dollar, HEB, Home Depot, Kroger, Lowe’s, Meijer, Publix, Rite-Aid, Target, Walgreens, Walmart and other dollar, grocery, hardware and mass merchandise stores nationwide and online at Amazon.com, Drugstore.com and Quidsi.com from January 2012 through May 2016 for between $3 and $5. Distributor(s): The Clorox Company, of Oakland, Calif. 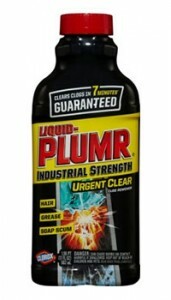 I am a plumber, and using Liquid Plumr is only a short term solution, if it even actually works. This may clear the blockage at one end, however it will not unblock the problem at the source. You need a professional to clear your drain blockage, we will use our high pressure jet blaster to clear the blockage, and using our CCTV camera we can locate the blockage and detect where its coming from. This will mean that the problem will usually not keep ocurring. You will just waste your money on products like these, not only that they contain toxic substances which you do not want in your household. Agree with Jason. Stay away from the harsh chemicals. We’be been on many jobs where the homeowner, prior to calling us, tried the “nuke the clog” method. It never turns out well and usually exacerbates the problem.